What is being transgender mean? 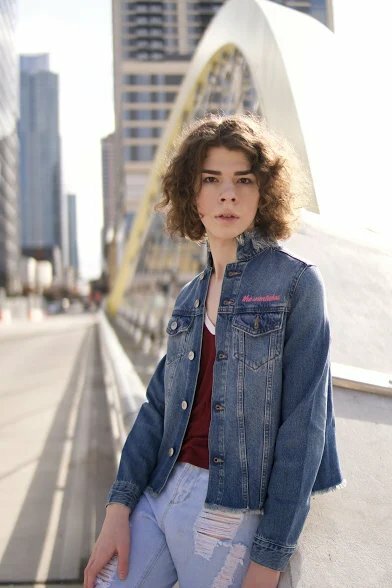 Eleanor Thompson is a 15 year old transgender sophomore at LASA High School, a former student of my current school, Kealing. In the summer between 7th and 8th grade she made her transformation from boy to girl. Eleanor is a very outgoing and social person, unlike her former self. When she made the transformation not only did her physical self change but socially she was more open and able to feel more connected to her friend groups, and she was able to be part of new friend groups. I learned more about that struggles and the lead up to Eleanor’s transformation and that bullying wasn’t as a big of a thing for her. The community and support system that Eleanor had made her journey a lot easier than it could of been. Living in an urban Austin, there weren't many whispers behind her back but she has still dealt with troubles with in herself. This is the story of Eleanor Thompson.